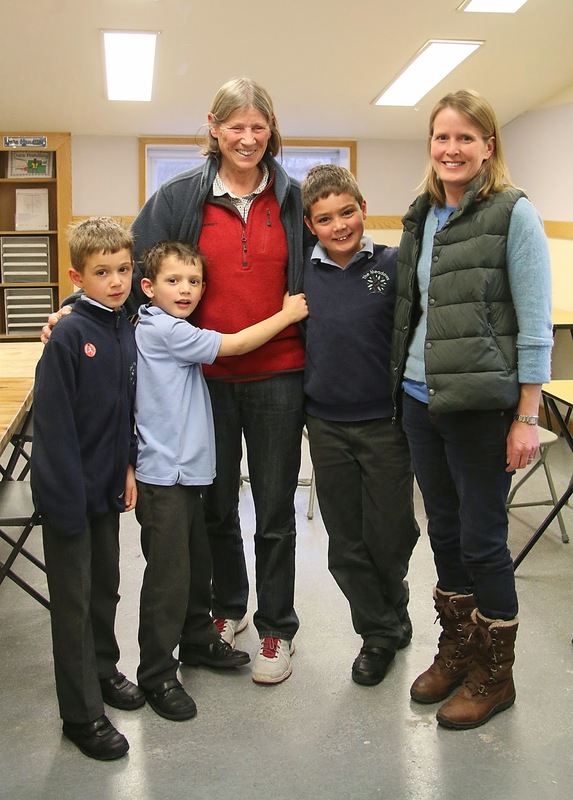 Former Suffolk Ladies' Champion Vicky Allen, is pictured here with daughter Paula and grandchildren Arthur, Harry and George. The three children attend the Meadows Montessori School, which has recently moved to new premises in Larchcroft Road, Ipswich. Vicky and Paula run the school's chess club, which meets every Wednesday afternoon, from 3.30 pm. Of the school's 60 pupils, some 18 regularly attend the chess club. One of the children, Jenni Rochford, has been selected to represent Suffolk in the Under 11 team, which is playing at Northampton on 21 March. The Suffolk Junior Open, due to be held at Woodbridge School on Sunday, has had to be postponed. It will now take place on Sunday 21 June.